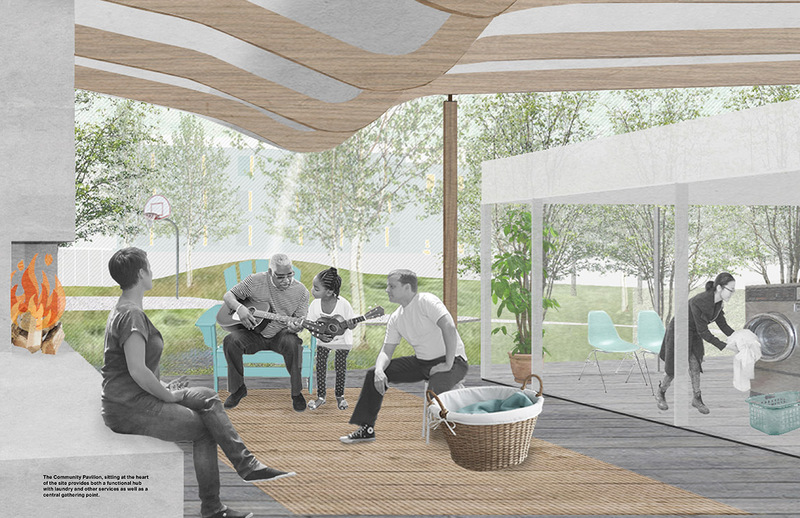 Project name: domestiCITY [for an affordable atlanta]: Everyone wants a home of their own. 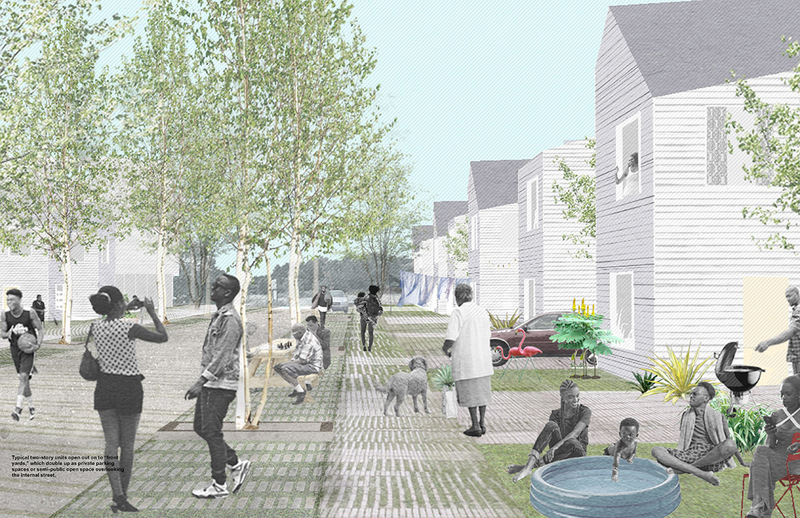 Jury comments: domestiCITY is a friendly, well-scaled neighborhood. This housing project accounts for accessibility at multiple levels: flexible unit types; onsite sources of water and solar energy; and the (eventual) connection with public transportation. The jury had some trouble accepting the seemingly isolated site as a piece of urban design. 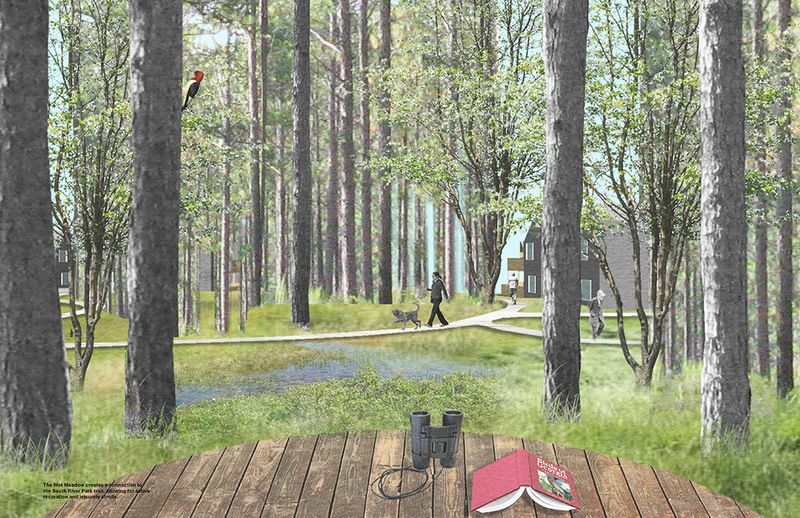 However, they could easily see domestiCITY as a straightforward, reproducible, customizable neighborhood model.